Selecting and working with the right IDE or integrated development environment is a vital aspect of becoming a successful mobile app developer. The right IDE enables developers to handle classpath; create files; build command line arguments and much more. In this particular post, we bring you a comparison of 3 very popular Java IDEs, namely, Eclipse, NetBeans, and IntelliJ. Eclipse has been in existence from the year 2001, ever since IBM released Eclipse as an open source platform. Managed by the non-profit Eclipse Foundation, this is used in both open source and commercial projects. Starting in a humble manner, this has now emerged as a major platform, which is also used in several other languages. The greatest advantage of Eclipse is that it features a whole plethora of plugins, which makes it versatile and highly customizable. This platform works for you in the background, compiling code, and showing up errors as they occur. The entire IDE is organized in Perspectives, which are essentially sort of visual containers, which offer a set of views and editors. Eclipse’s multitasking, filtering and debugging are yet other pluses. Designed to fit the needs of large development projects, it can handle various tasks such as analysis and design, product management, implementation, content development, testing, and documentation as well. NetBeans was independently developed in the latter half of the 1990s. It emerged as an open source platform after it was acquired by Sun in 1999. Now a part of Oracle, this IDE can be used to develop software for all versions of Java ranging from Java ME up to the Enterprise Edition. 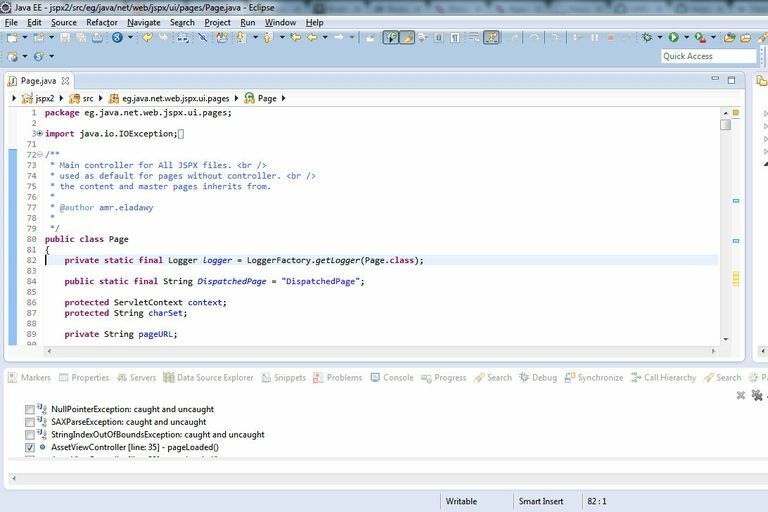 Like Eclipse, NetBeans also features a variety of plugins you can work with. NetBeans scores over Eclipse in that it features database support, with drivers for Java DB, MySQL, PostgreSQL, and Oracle. Its Database Explorer enables you to easily create, modify and delete tables and databases within the IDE. Largely viewed in the past as a sort of shadow of Eclipse, NetBeans has now emerged as a formidable competitor to the former. In existence from 2001, JetBrains’ IntelliJ IDEA is available in a commercial edition as well as in a free open source community edition as well. JetBrains is an established company and is most known for its Resharper plugin for Visual Studio and is especially beneficial for C# development. IntelliJ offers support for a variety of languages, including Java, Scala, Groovy, Clojure and more. This IDE comes with features such as smart code completion, code analysis, and advanced refactoring. The commercial “Ultimate” version, which mainly targets the ​enterprise sector, additionally supports SQL, ActionScript, Ruby, Python, and PHP. Version 12 of this platform also comes with a new Android UI designer for Android app development. IntelliJ too features several user-written plugins. It currently offers over 900 plugins, plus an additional 50+ in its enterprise version. Users are always welcome to submit more plugins by using its built-in Swing components. All of the above IDEs come with their own advantages. While Eclipse is still the widest used IDE, NetBeans is now gaining popularity with independent developers. While the enterprise edition of IntelliJ works like a marvel, some developers may consider it an unnecessary expense. It all depends on what you are looking for, as a developer, and how you plan to go ahead with your work. Install all the 3 IDEs and try them out before making your final choice. What Are the Best Free Java IDEs?